Product prices and availability are accurate as of 2019-04-21 15:56:23 UTC and are subject to change. Any price and availability information displayed on http://www.amazon.com/ at the time of purchase will apply to the purchase of this product. 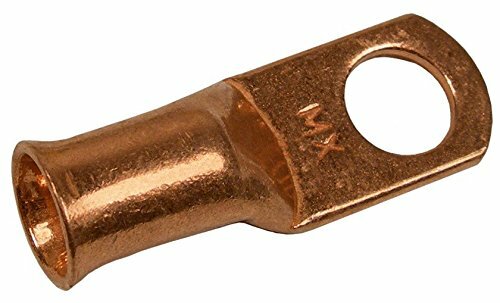 Solid copper closed end lug rings designed for battery applications. Solder or crimp type. Flared Ends for Easy Entry.